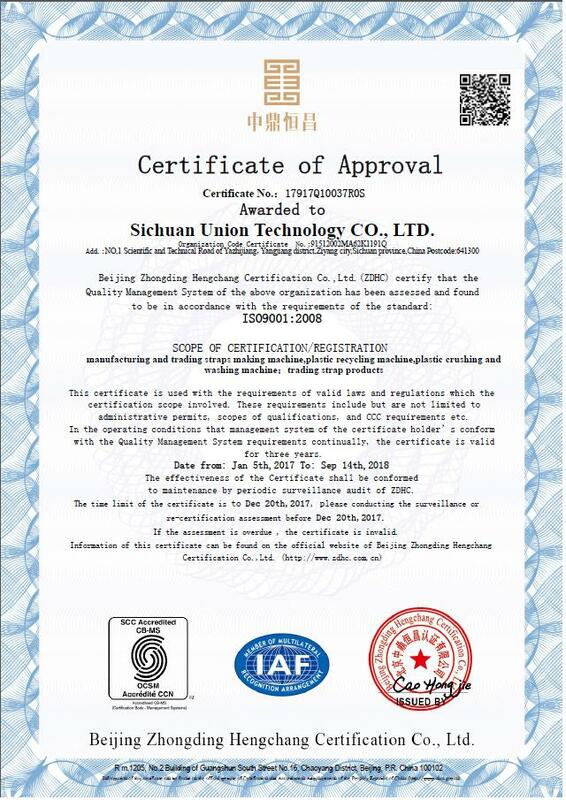 Company Overview - Sichuan Union Technology Co., Ltd.
3YRSSichuan Union Technology Co., Ltd.
Si Chuan Union Technology Co.,Ltd is located in beautiful Zi Yang city which is "historic home of Si Chuan People", beside the gorgeous Tuo Jiang River. 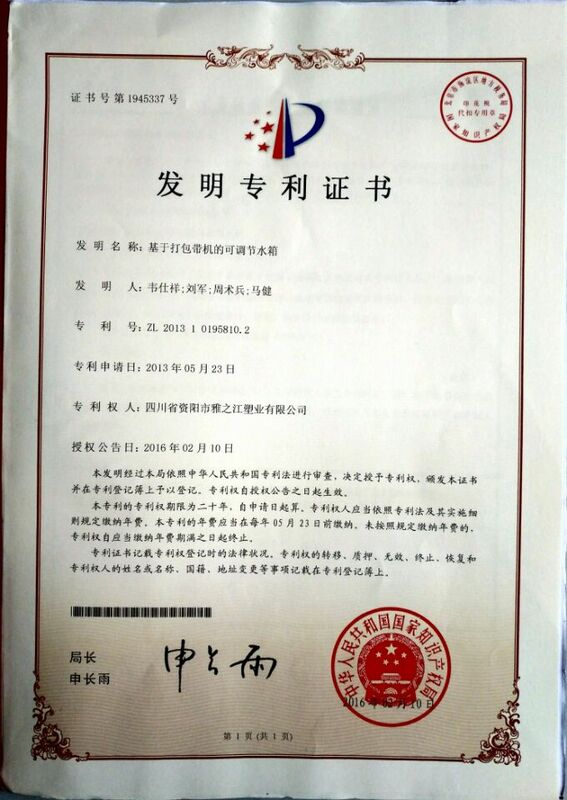 It has acquired YZJ company's 23 years experiences of plastic machinery manufacturing and R&D technology. 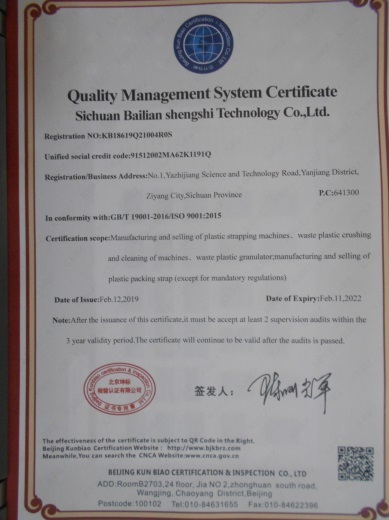 Through continuous efforts and fast development, Si Chuan Union Technology Co.,LTD mainly focuses on fields of plastic packing strap production machinery, whole set of waste plastic recycling machineries, plastic products, etc. 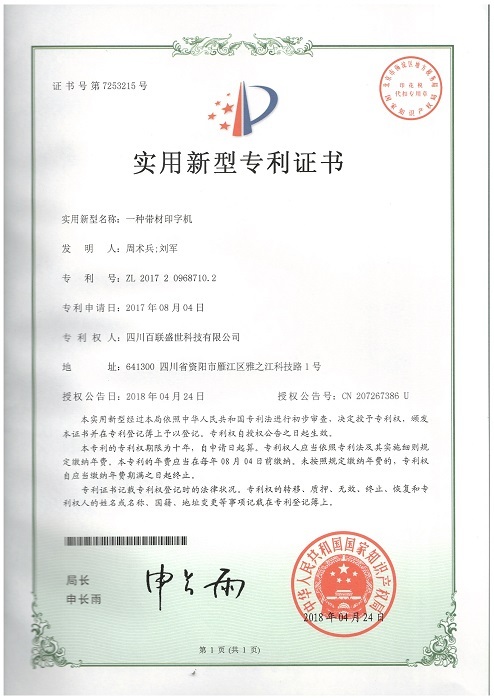 Being a scientific company, it gives priority to plastic machinery, takes plastic products as an auxiliary area, combines theory and practice, provides R&D service, producing, selling, and after sale services. 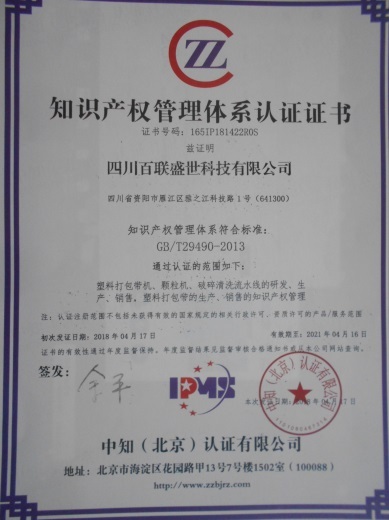 There are R&D department, Technology Department, Sales Department, Producing Department, Material Control Department, Finance Department etc., in the company.The company is qualified with IOS9001:2015, GB/ T29490-2013 Intellectual property management system, CE, etc. 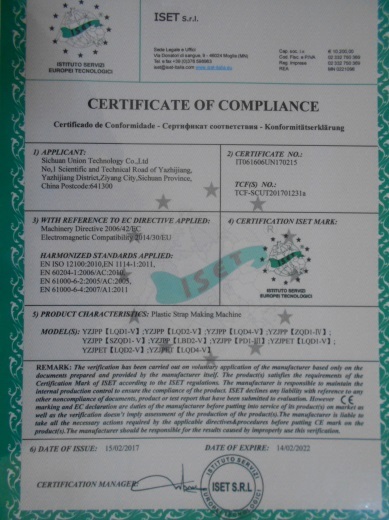 Our products include: PP strap making line, PP/PE/PS granules making machine, PP PE plastic scrap recycle washing line; PET strap band making machine, PET pellets extrusion line, PET bottle recycle washing flakes making line; and chain project from PP PET plastic scrap recycle washing line to pellets making&deep processing PP PET strap, very suitable for various clients. We make sure one-stop service to realize turn-key project, thus to make your investment safe and valuable. Six series are included in plastic machinery, total more than 100 of different kinds; plastic products mainly cover tens of PP PET straps. 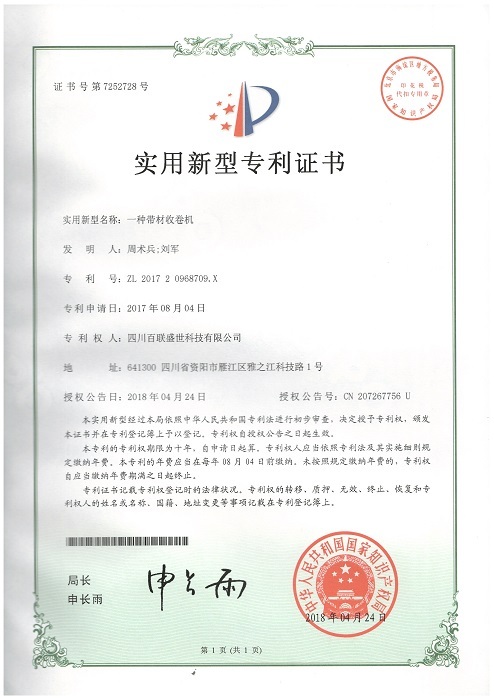 Our products have been sold to domestic and overseas markets, covering more than 31 Chinese provinces&regions and 80 countries and region which are from North America, South America, Africa, Asia, Europe, Oceania, etc. The company mission: set up hundreds of years' history's enterprise, bear social responsibility. Our Core value: be loyal to customers. R&D theory: Innovation will make impossibility to possibility. 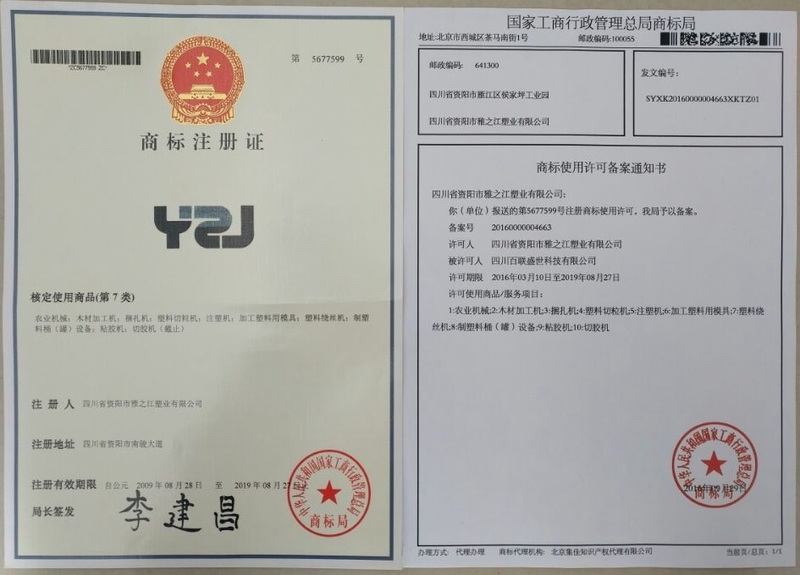 We are keeping writing new history chapters to realize company's prospects: to be one of the world's famous innovation enterprises! Let us help you to continuously succeed with our strong technology and perfect service! manufacturing and trading straps making machine,plastic recycling machine,plastic crushing and washing machine;trading strap products. 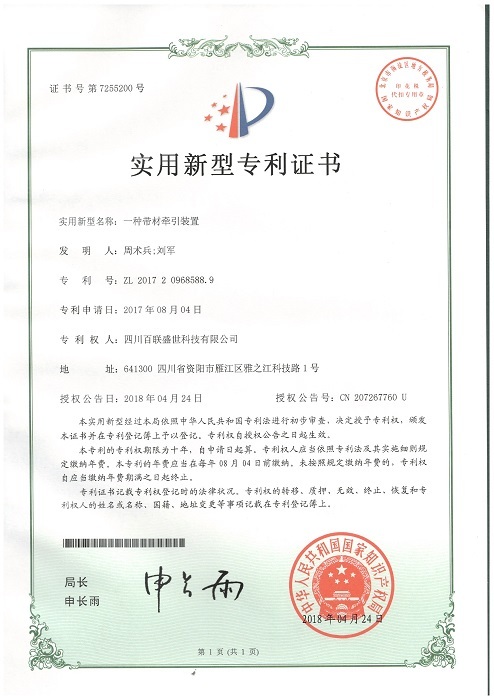 Research and development, production and sales of plastic packaging belt machine, particle machine, crushing and cleaning assembly line, intellectual property management of production and sales of plastic packaging belt. 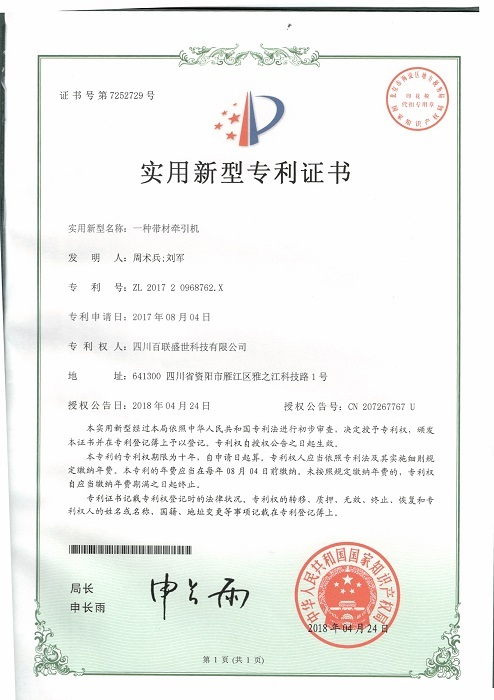 Manufacturing and selling of plastic strapping machines, waste plastic crushing and cleaning of machines, waste plastic granulator; manufacturing and selling of plastic packing strap (except for mandatory regulations).